Posted By:Unknown | At:6:32 AM Be the first to comment! First let me start this post by thinking everyone that joined me on Facebook to live blog the debate. It's always so much fun because of you all and I really thank you. Last night I was all in my emotions because I think it really hit me that there was a white man and a black man debating for the presidency and the Black Man was the President. A black man is President y'all. It's been almost four years and it's still amazing to me. Well getting back to the debate, there isn't a sane person on Earth who can say that Mitt Romney won the debate with a straight face. President Obama was in his element and it showed out the gate. Commander in Chief was exactly what he was last night. The President also got in a lot of zingers last night., but there was one in particular that stood out to everyone. It was the comment he made in referring to 'horses and bayonets.' It was brilliant. "You mention the Navy, for example, and that we have fewer ships than we did in 1916. 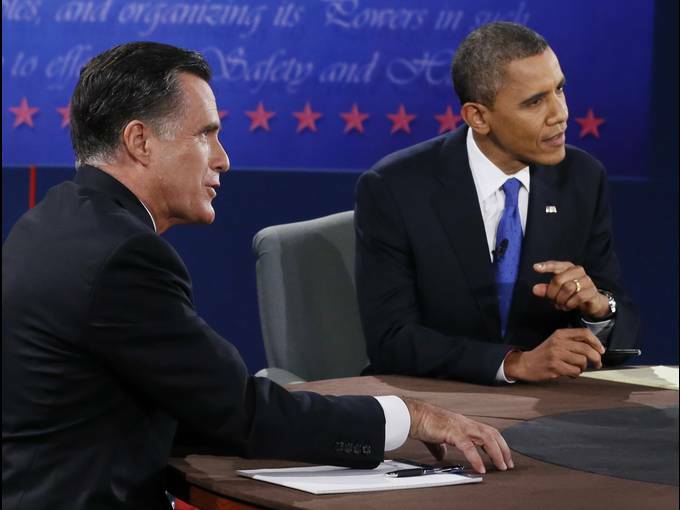 Well governor, we also have fewer horses and bayonets," Obama said during the final presidential debate. "We have these things called aircraft carriers and planes land on them. We have these ships that go underwater, nuclear submarines." "It's not a game of battleship where we're counting ships, it's 'What are our capabilities?'" he said. Am I the only one that heard Mitt Romney say he would get to a balanced budget in 8-10 years but yet he expected President Obama to do it in less than 4 years?